In many machine vision applications the use of polarization cameras can provide information that cannot be obtained with standard monochrome, color, multi-spectral or hyperspectral cameras. In this White Paper, LUCID Vision Labs provides a deeper insight into how polarizing light works, what makes the Sony IMX250MZR and IMX250MYR polarized sensors unique, and what type of applications polarization can be used for. 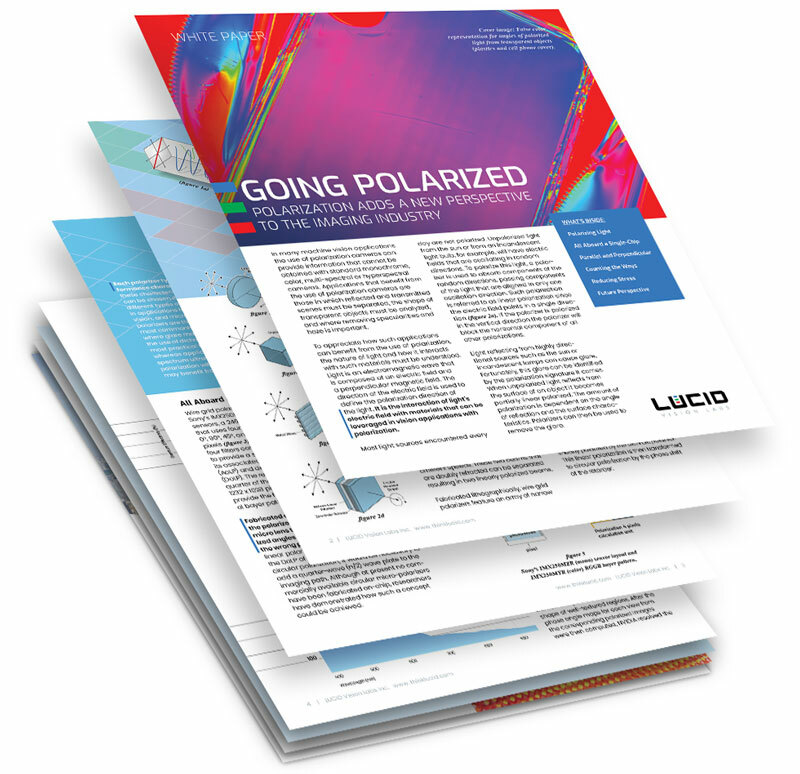 In addition, we explain some of the existing polarization methods and give a brief perspective into the future of polarization in the imaging industry. After clicking “submit” a download link will be provided.